From our extensive range of pumps, we offer our precious clients highly durable range of "Plunger Type Metering Pumps" that are widely used for simple applications with non-critical, harmless fluids. These pumps are designed by our professionals using supreme grade raw material and modern technology at our well equipped manufacturing set up. The offered Plunger Type Metering Pumps undergo stern quality tests to confirm their defect-free nature. Further, this range of pumps is offered in various specifications at pocket-friendly prices. We are a key Manufacturer, Exporter and Supplier of “Plunger SS316/SS304 Pump”, High Pressure Plunger Pumps, High Capacity Magnetic Drive Pump, Fixed Output Diaphragm Pumps, Pixel Oil Diaphragm Pumps. We hold expertise in manufacturing, supplying and exporting a wide range of “Plunger S.S.316 S.S.304 Pump” Manufacturer in India that are used for various industrial applications. Maximum pressure for Diaphragm type upto 5 kg/cm sq. Maximum pressure for Plunger type upto 30 kg/cm sq. We can also provide the pump in single head and multiple head with single motor. 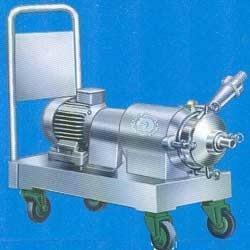 We can also provide Steam Jacketed Pumps for High Temperature. Metering Pumps And Dosing Pumps Manufacturer in India: We are the leading Manufacturer of Chemical Dosing Pumps and Systems in India. We have a wide range of products to cater all your metering applications. Our product range includes Plunger and Diaphragm type Reciprocating Pumps, Rotary Gear Pumps and Chemical Injection packages.